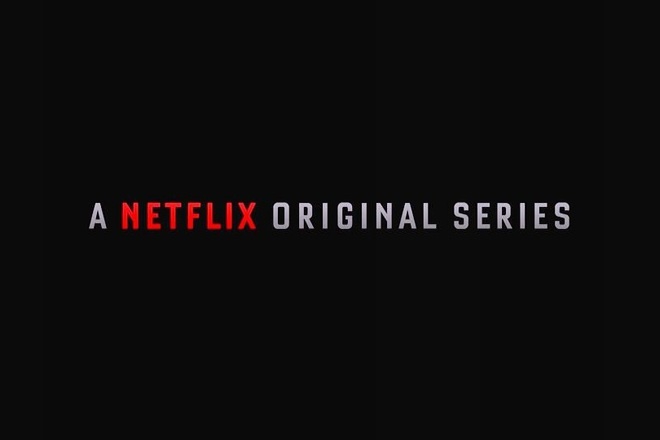 Lately, Netflix has become known for its streaming services and it’s new “Netflix Original Series.” These TV shows, produced by Netflix, are incredibly high quality and should be watched. The surprising thing is that Netflix’s shows are all very different, not only from each other but from anything on modern television. These are the top four examples of Netflix’s new TV shows. “Lilyhammer”, a norwegian crime drama may have been the first Netflix original series, but “House of Cards” was the show that popularized the concept of original programming on Netflix.. Based off of the British miniseries of the same name, “House of Cards” stars Kevin Spacey as Francis Underwood, an American politician with dreams of becoming the president of the United States. While political drama may sound like a boring genre for some people, “House of Cards” makes it riveting. With twists and turns throughout, “House of Cards” makes it difficult to stop watching. The third season is currently in production and the other two are available on Netflix. “The Killing” was an underappreciated gem of mystery that originally aired on AMC. Unfortunately, the show was cancelled after its third season, but Netflix picked it up for a final six episode season. While the show may look like an average crime drama, it drips with atmosphere that makes you think that it never stops raining in Seattle. Set in the very bleak Seattle, “The Killing” stars Mireille Enos as Sarah Linden, a detective who is in constant conflict with the people she’s investigating and herself. Her partner Stephen Holder, played by Joel Kinnaman, is a shady cop with a bad past. While that may make the show sound incredibly cliche, the two leads have excellent chemistry and the mystery keeps you guessing the whole time. This one completely took me by surprise. I didn’t really know what the show was about, but a friend recommended it and I started watching. What happened after was a week long binge of the entire first season. Not only does the show star a mostly female cast, something that’s almost unheard of, but they all are strong actors that can be funny and serious when needed. “Orange is the New Black”, loosely based off of the memoirs of Piper Kerman, stars Taylor Schilling as Piper Chapman, a woman who is sent to prison for a crime she committed a decade ago. The show follows her adventures in the prison as she tries to fit in. The most interesting part about this show is that Piper is actually my least favorite character. It quickly becomes apparent that she’s incredibly narcissistic and is a bit of a control freak. The show makes up for Piper’s attitude by having some of the best characters in TV. Normally in TV, the supporting characters maybe get some attention, but it usually relates directly to the main character. In “Orange is the New Black”, all the supporting characters could be the stars of their own TV shows, with all of them having some sort of story arc. This show was Netflix’s first attempt at animation, and it succeeded. With a similar animation style to the show “Archer”, “Bojack Horseman” stars Will Arnett as an aging movie star who happens to be a horse. The show also stars Aaron Paul, famous for his role as Jesse Pinkman in “Breaking Bad.” “Bojack Horseman” is a very funny show that succeeds at what it is trying to be, weird. In the world of Bojack, animals can talk and live together with humans. The show is very bizarre and is very funny because of that. For example, “Bojack Horseman” depicts many famous movie directors as animals that seem to fit their personalities. Quentin Tarantino is a tarantula with the fitting name, Quentin Tarantulino. So many things happen in this show that you would never expect. While the show may seem like a comedy, it also explores very serious topics like depression and drug addiction. Bojack is an old movie star and constantly battles a feeling of being washed up. This adds a level of humanity that you wouldn’t expect from a talking horse. The delightful comedy, mixed with serious topics is how “Bojack Horseman” distances itself from shows that are similar to it. Without that duality, “Bojack Horseman” would just be another mediocre cartoon. But “Bojack Horseman” surpasses other shows of it’s kind and Netflix is so much better because of it.